A special thanks for loving us. 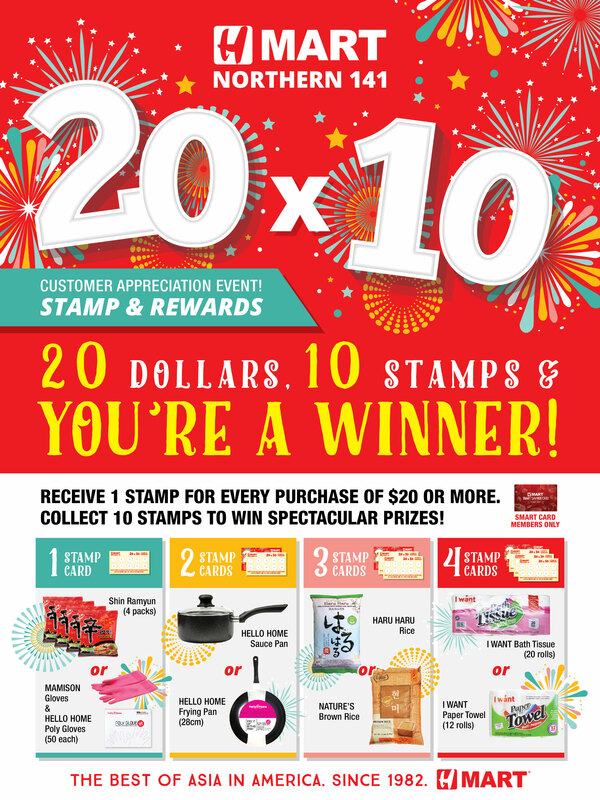 Come join us for our STAMP & REWARDS EVENT! H마트 노던 141 고객 감사 스탬프 카드 이벤트! 이벤트에 참여하고 다양한 상품을 만나보세요!